“Be more positive!” she says. “Stick to sports!” he chides. “Too many Top 10 lists!” they decry. Fine, you win. Today: A warm-’n-fuzzy Top 20 list about sports. I lied to get into the sports media business. Sorta. 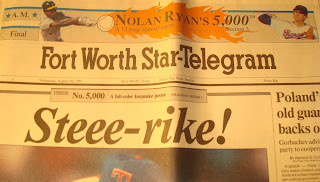 In 1986, a few months before I graduated UT-Arlington with a degree in journalism, I caught the eye and grabbed the ear of an editor at the Fort Worth Star-Telegram. “I’ll do anything, for any price,” I begged, attempting to jam the tip of my toe into what I perceived to be a sliver of an opening in the door. 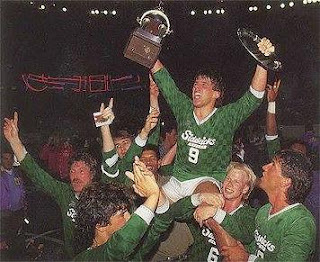 Two nights later I was inside Reunion Arena covering a team called the Dallas Sidekicks and a sport called the Major Indoor Soccer League. Orange ball? Walls? A guy who takes his shirt off when he scores? I was clueless. And I was hooked. Not necessarily on the MISL, but on getting paid to attend sporting events. What a scam brilliant career choice. I’ve covered sports in the Metroplex for 30+ years, writing/talking about everything from dart tournaments to The Olympics. 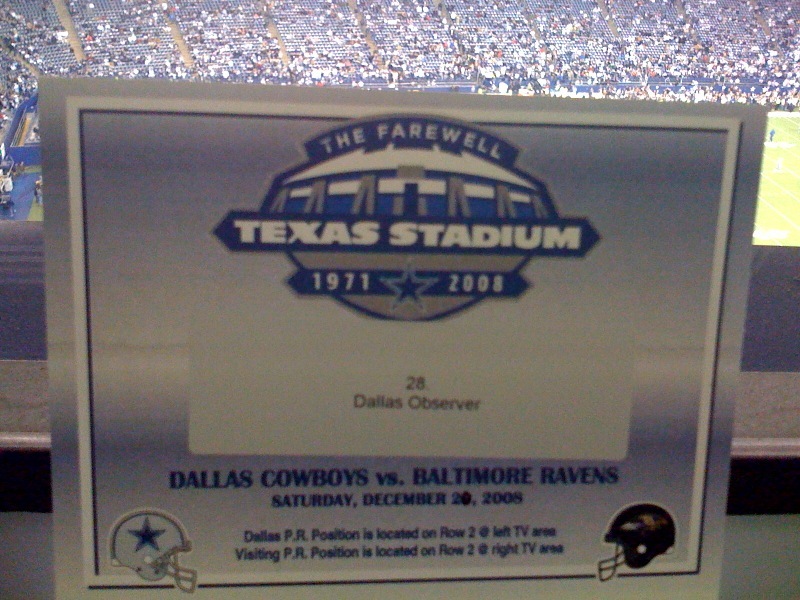 Today, with a little prodding and a lot of reminiscing, I pieced together the most memorable events I’ve attended during 18 years at the Star-Telegram, seven more at the Dallas Observer, five at CBS Radio/105.3 The Fan, three more at NBC5 and, since the Summer of 2013, here in my own lil’ corner of the blogosphere. Hope you enjoy re-living them half as much as I delighted in covering them. 20. February 16, 2001; Infield Circus – Assigned to capture the suds, speed and socializing of the Daytona 500, I drove through the tunnel at the Daytona International Speedway and immediately saw a woman. Walking. On her hands. Naked. With grinnin’ guys playing ring toss. Using her legs as the targets. Swear. 19. 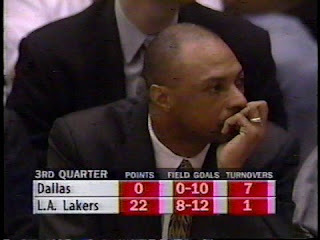 April 6, 1997; Mav-Wrecks – Though the franchise had bottomed out a couple years earlier with head coach Quinn Buckner and consecutive 13- and 11-win seasons, the Mavs under the utterly forgettable Jim Cleamons managed only two points – on a pair of Derek Harper free throws – in the third quarter of a lowly loss to the Lakers in The Fabulous Forum. 18. Nov 30, 2006; Anna Nirvana – Got to play three games of tennis at the T Bar M Racquet Club in North Dallas against one of the hottest females on the planet, Anna Kournikova. 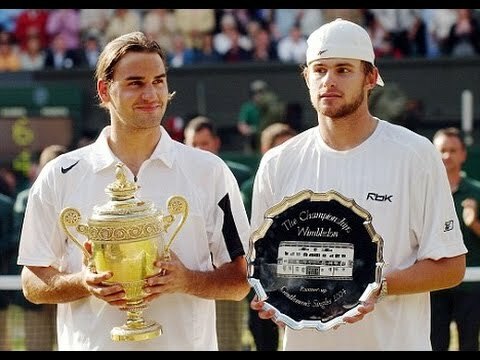 Nothing really spectacular about the tennis, other than the fact that it was against one of the hottest females on the planet, Anna Kournikova. 17. June 20, 1987; Sidekicks Celebrate – Down 3-1 with less than two minutes to play in Game 7 of the MISL Championship Series, the Sidekicks pulled their goalie in desperation. After an improbable two goals to force overtime, Tatu drilled a shot that Mark Karpun re-directed for the goal that stunned the Tacoma Stars and 20,000 fans in the Tacoma Dome. Two days later I covered a championship parade through downtown and around Reunion Arena. Still pinching myself to this day. 16. 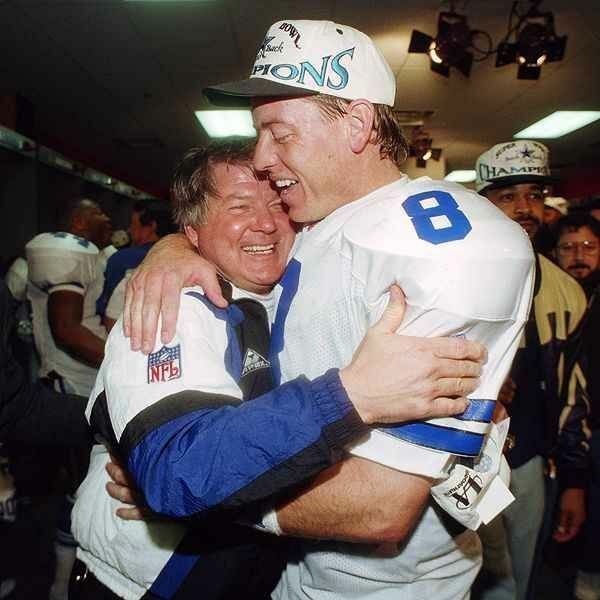 Dec. 10, 1989; Bounty Bowl II – After Cowboys’ head coach Jimmy Johnson had chastised the Eagles’ Buddy Ryan for putting out a bounty on kicker Luis Zendejas in a Thanksgiving Day game at Texas Stadium, the payback at Veterans Stadium was gruesome. Philadelphia beat an infamously futile Cowboys team, 20-10, punctuated by batteries wrapped in iceballs hurled at the sideline and even inside CBS’ broadcast booth at Verne Lundquist and Terry Bradshaw. 15. June 29, 1998; Dirk’s Debut – He stepped off the plane from Wurzburg, Germany all of 19 years old. Chili-bowl, long haircut. Big, gold hoops dangling from his ear. But then Dirk Nowitzki dazzled us inside the Baylor-Tom Landry Center gym. 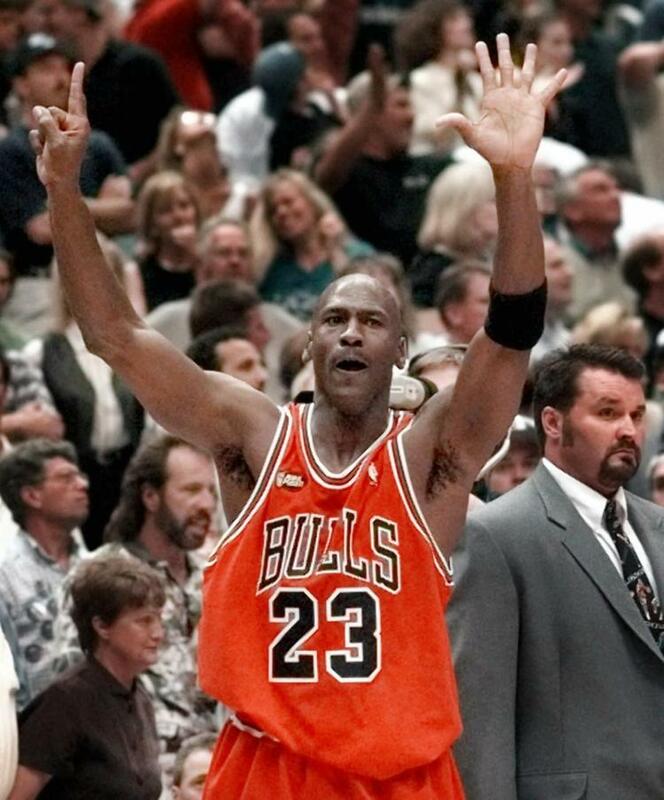 3-pointers with each hand. And a smooth, flowing stride leading to effortless dunks. 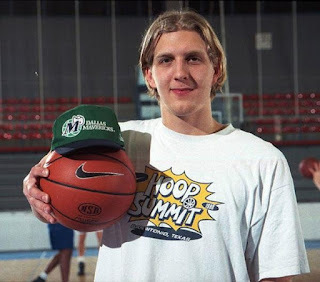 The Flamingo Fadeway wasn’t yet born, but just days after the NBA Draft Nowitzki’s eventual Hall-of-Fame star was already rising. 14. 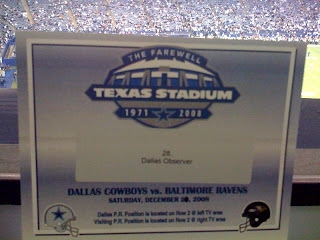 Dec. 20, 2008; Farewell, Old Friend – It was freezing that night. Winter wind whipping through the tunnel at Texas Stadium. But with the Cowboys rallying and former players lined up to see the last game in Texas Stadium it would end up warm and cozy. Right? Nope. As Baltimore Ravens’ fullback LeRon McClain rumbled 82 yards right up Dallas’ gut it almost made us vomit. Then, about 17 months later, an 11-year-old from Tyler pushed a plunger that imploded my all-time favorite sports stadium. 13. 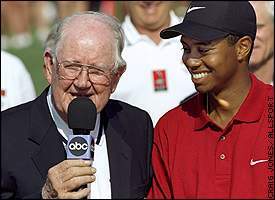 May 14, 2005; Tiger Prowls – Back when Tiger Woods was Tiger Goods, I followed his every move at the Byron Nelson golf tournament. On the 9th fairway he exited a Port-a-Pot … to a rousing ovation. 12. July 4, 2004; Fantastic Federer – Only thing more amazing than sitting at Centre Court Wimbledon and watching Andy Roddick spank 140-mph serves was witnessing Roger Federer deftly return them for winners with merely a flick of his legendary wrist. 11. June 17, 1994; The Day The World (Cup) Stopped – International media from the globe’s four corners descended upon Fair Park to cover the World Cup, but suddenly we all found ourselves not watching soccer inside the Cotton Bowl but instead huddled around a TV in the Hall of State’s makeshift media center gawking at another type of football player. 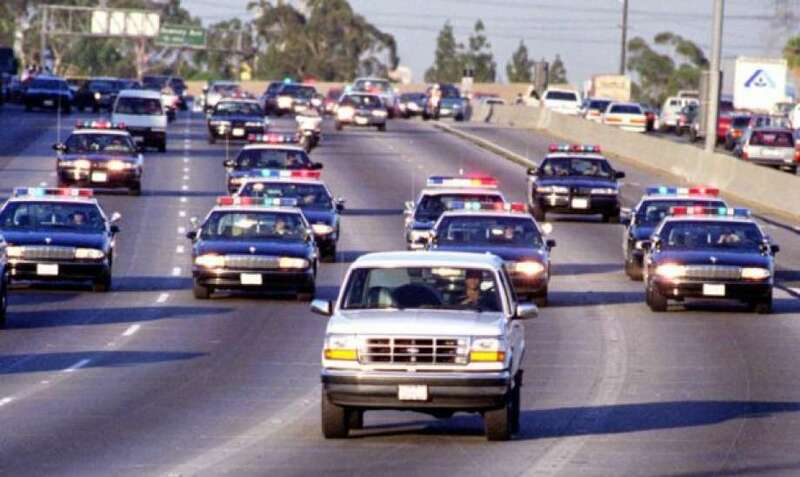 It was O.J. 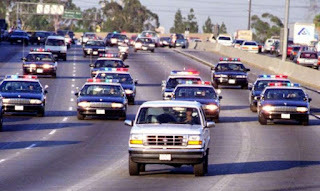 Simpson, leading Los Angeles police on a low-speed chase. 10. 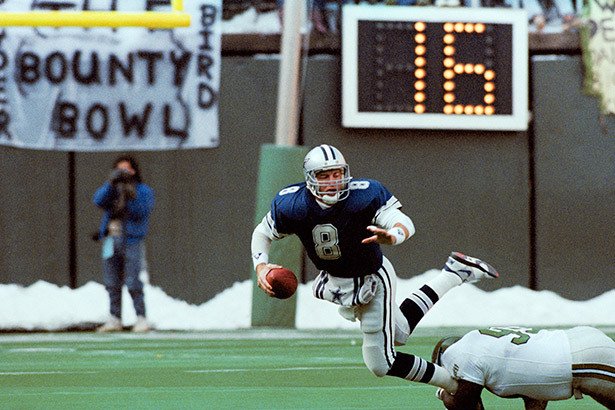 January 17, 1993; How ‘Bout Them Cowboys?! – Candlestick Park. The mud. Major underdogs. Up 24-20 with four minutes remaining, but backed up to their own 10. 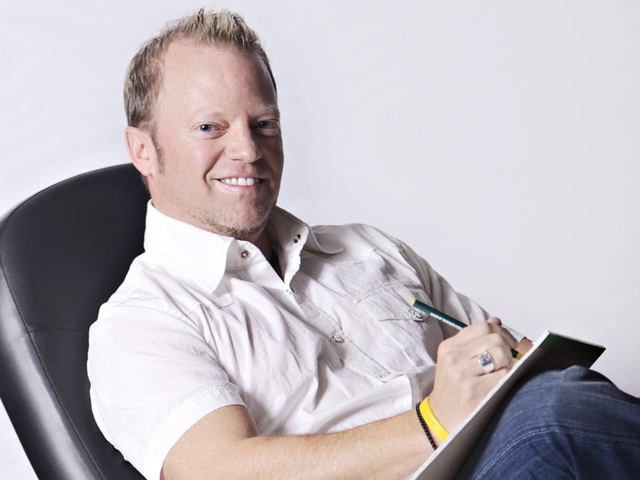 Get conservative and work on the clock? Nah. How about Troy Aikman to Alvin Harper for the most important 70-yard pass play in franchise history. 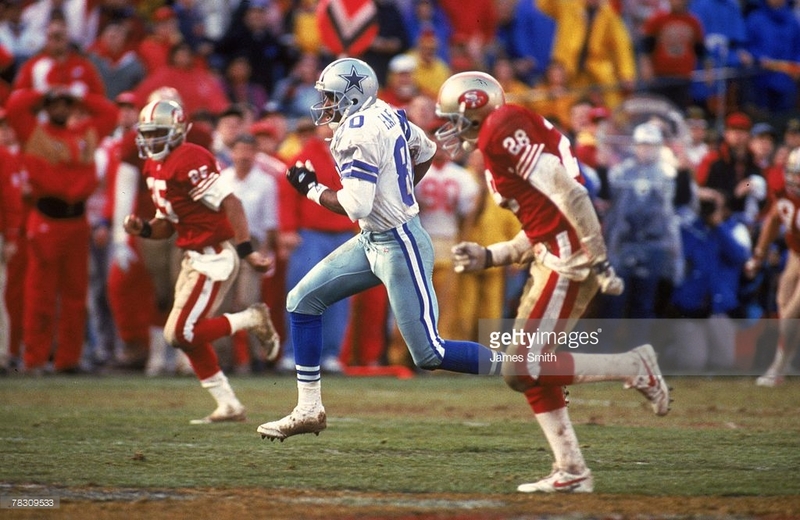 Cowboys 30, 49ers 20. Hello, Super Bowl. 9. 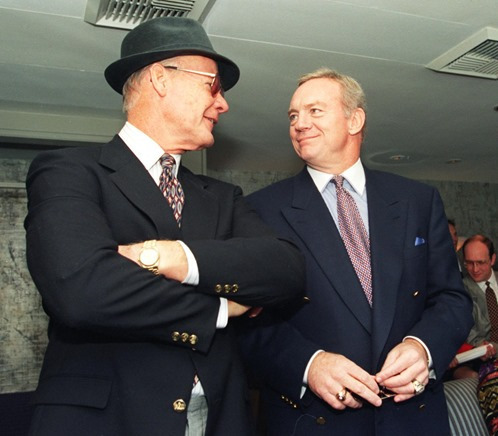 February 28, 1989; Doomsday Indeed – Only days after he was fired by new owner Jerry Jones, Cowboys’ coach Tom Landry went to Valley Ranch and cleaned out his office. Unfortunately, I had to document every sad detail. 8. June 14, 1998; The Joy of Six – With his Chicago Bulls on the brink of losing Game 6 and having to play a Game 7 in the Delta Center against the Utah Jazz, Michael Jordan scored, stole the ball from Karl Malone and then deftly shoved Bryon Russell out of the way before swishing an 18-foot jumper to seal his sixth title. We forget John Stockton front-rimmed an open 3-pointer at the buzzer. 7. October 22, 2010; Hello, World Series! – When closer Neftali Feliz struck out Alex Rodriguez on a nasty curveball, our goose bumps had goose bumps. Yep, after 38 seasons the Texas Rangers were finally going to the World Series. 6. 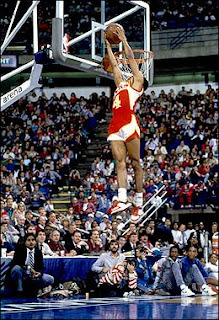 February 8, 1986; Soaring Spud – On NBA All-Star Saturday at Reunion Arena it was 5-foot-7 Spud Webb who stole the show by winning the Slam Dunk title. But in the locker room it was Celtics’ legend Larry Bird who chugged a Lone Star beer, loudly burped and then offered “Excuse me, I’ve got a trophy to win.” He then went out and at one point made 12 straight 3-pointers en route to the Long Distance Shootout championship. 5. 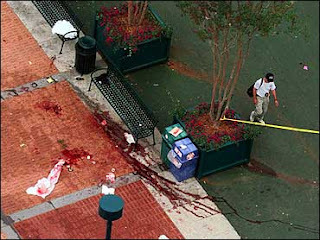 July 27, 1996; Olympic Bombing – During The Summer Olympics in Atlanta I saw Michael Johnson’s double in the 200/400, the Dream Team cream everybody and Andre Agassi win gold. But it was 1:30 a.m. when our bus taking us to our dorms at Emory University abruptly stopped. Announced our driver, “A bomb went off in Centennial Park.” Still makes me queasy. I had been there 20 minutes before. And now I was headed back. 4. 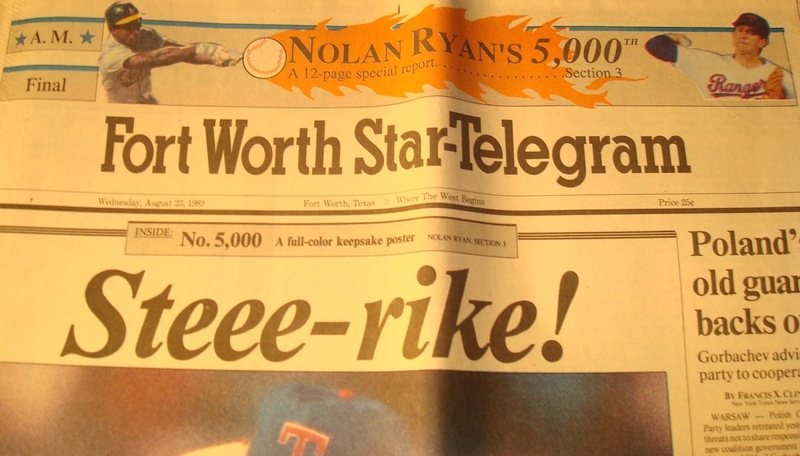 August 22, 1989; 5,000 – I was assigned to paint the scene surrounding Nolan Ryan’s historic 5,000th strikeout. Not Nolan fanning the A’s Rickey Henderson or the ball caught by Chad Krueter, but more so the scalpers selling box seats for, get this, $150 a pop. Probably go for $1,500 today. 3. October 27, 2011; Title Tease - One strike away. Twice. 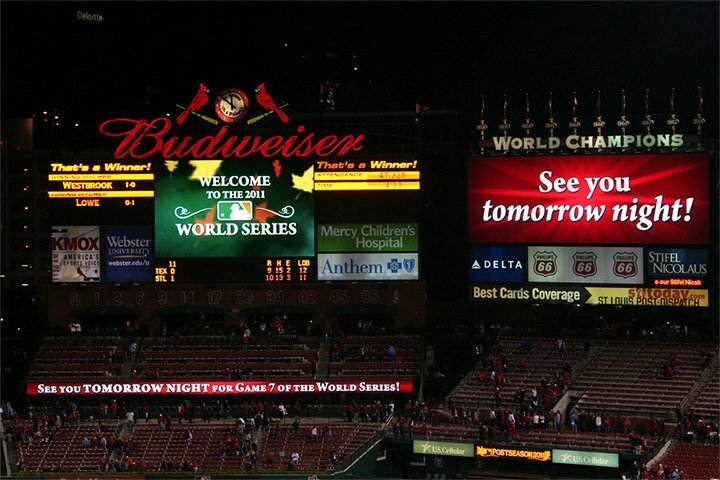 I was lined up with a gaggle of media underneath Busch Stadium, awaiting the Texas Rangers’ World Series celebration that would never happen. Plastic was hung from lockers. Boxes of championship hats and T-shirts were carted past. But after David Freese tripled off Neftali Feliz in the 9th, Lance Berkman singled off Scott Feldman in the 10th and Freese homered off Mark Lowe in the 11th to end a dramatic, gut-wrenching Game 6, it was instead our worst case of blue balls. Ever. 2. 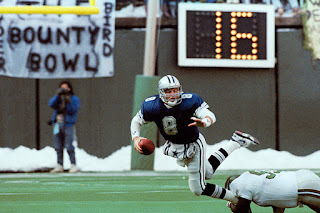 January 31, 1993; 'Boys Are Back – From Garth Brooks’ National Anthem to Michael Jackson’s halftime show to Troy Aikman’s four touchdown passes to the nine turnovers, the Cowboys’ 52-17 romp over the Buffalo Bills in Super Bowl XXVII will be eternally vivid. 1. June 12, 2011; Finals, Finally – As Nowitzki made a lefty layup to give the Mavs a nine-point lead in the final minute, I found myself trying to do my job – blog and type and talk – amidst a stream of tears. Couldn't have been more perfect. In Miami, against the Heat team and villainous player (Dwyane Wade) that ruined the ’06 party. Favorite moment: Original owner Don Carter handing the Larry O’Brien trophy to Finals MVP Nowitzki. Sometimes, if you stick with it long enough, life turns out to be fair after all.